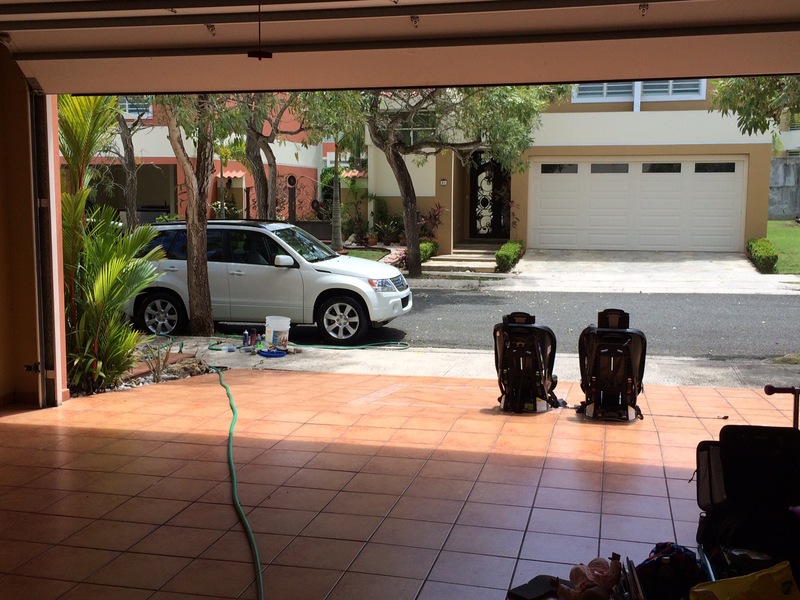 Puerto Rico is very much a car culture. Puerto Rico has the most cars per square mile IN THE WORLD! Yes, that is correct. 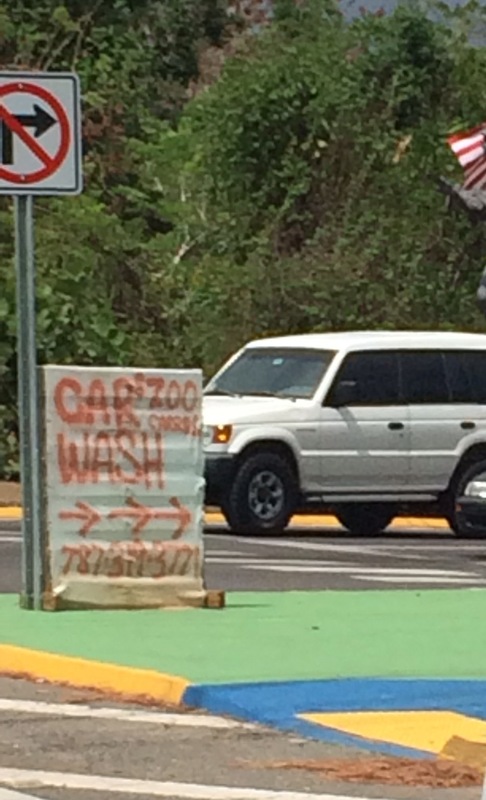 Seriously, I’ve only seen ONE automatic car wash on the west side of the island. In Aguada. There are little stands like these – basically a tent with a hose and a couple of dudes sitting on folding chairs waiting for a customer. With a sign by the road that advertises car washed ‘by hand!’. Like it’s a selling point, rather than the only option. I inherited a better solution though. One I feel a little guilty about. Our landlord hooked us up with his housecleaning woman (helpful? Or just wanted to keep an eye on his place?). Her husband also cleans cars! Score! AT YOUR HOUSE! Double score! dude even vacuumed my car seats! He brings all his own cloths, sponges, cleaners, and shop vac. I just take everything out, give him the hose and he goes to town. For three hours. Top. Bottom. Wheels. Wheel beds. Seats. Floor mats. Dashboard. My car looks completely new afterwards inside and out! The first time he came I asked, “Cuanto cuesta?” How much does it cost (he doesn’t speak English). “Viente” uh, wait what? I must’ve heard incorrectly. That’s $20 folks. Triple score! 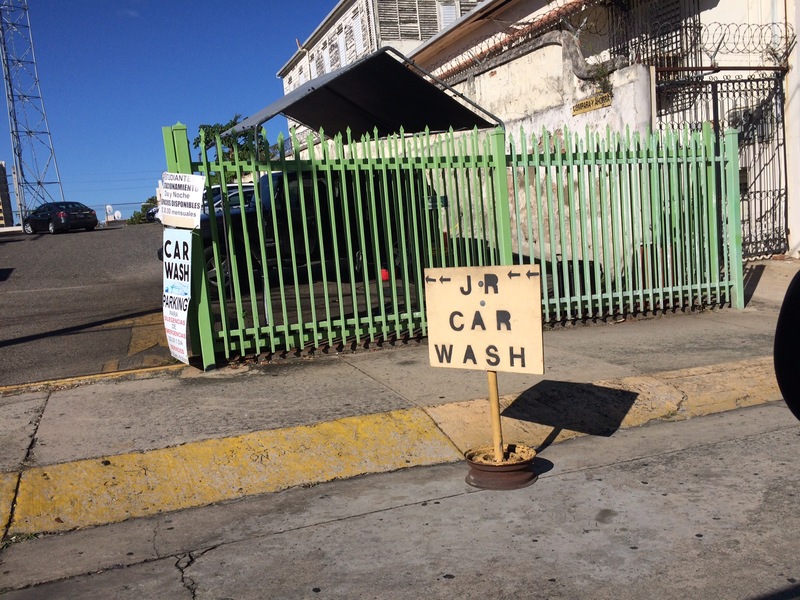 This entry was posted in Uncategorized and tagged Aguada, automated, car, car wash, hand wash, Mayaguez, Puerto Rico. Bookmark the permalink.